About 15 or 20 minutes before the library closes, a family comes in; about five kids, a mom, and the dad. The dad is carrying a good sized cardboard box with approximately 40 or so books inside to return. The dad and the kids run off to the chapter books. The mother, bless her heart, stays behind for a moment and apologizes for so many books, with the excuse that she has seven kids (and she appeared to perhaps be pregnant). I smile and inform her that I am the oldest of eight, her family’s box of books is the same as mine. I don’t mind in the least. In the midst of hurrying to check in books (because it is almost closing time), I come across Triss, one of the Redwall books. I also see Ranger’s Apprentice, so I know this family has good taste in kidlit. But it’s on Triss I linger and tell her I read these. She asks me if I know where the books are so she can check out another (I think for a child who was not present). I do indeed know where they reside and I lead her to them. This shelf is a bit of a holy place to me, since so few libraries have all of Brian Jacques’ Redwall books and I have loved most of the ones I have read so far. I believe all children should at least try Redwall at some point, but I digress. The mom asks me which ones are good. I point out the first three (Redwall, Mossflower, Mattimeo). I also give her Taggerung, the one everyone says you must read, though I don’t like it myself. She asked what it was about and I do my best to sum it up since I was put on the spot (though, I remember calling it “cute”, which I think was probably not the right word at all, since Redwall can be kind of violent). She gets Redwall and Taggerung. While we check her out, she and I make small talk. She asks me if I grew up around here, how long I’ve been working at the library, and if I loved having a big family (close by, just under two weeks, and yes, I love having a big family). I ask her if it just so happens that she homeschools (she does). We get everything situated and she, her husband, and her children leave. I hope I get to see her again in a couple of weeks. I work in a place that’s job is to give information, mostly for free. That sounds so technical, so detatched. But it can be really emotional, really rewarding. Information is books, even if the content of those books is fiction. The best feeling in the world is putting a book you loved into the hands of someone you know will also love it, especially if that someone is a child. The library does not just give information. We share knowledge. We also get to share joy. We get to share happiness, a part of the idealistic event in which a kid stays up too late under blankets with a flashlight because he absolutely needs to know how the book ends or when an adult, as snow falls heavily, sits inside in a comfortable chair with a cup of tea gone cold because they’ve forgotten about it because she absolutely needs to know how the book ends. I got to share one of my favorite authors with a lovely family this evening. I hope they love it. I hope that they continue to come into the library for as long as they live in this area and that I get to recommned books for all the kids. Maybe they’ll pass Redwall on to their own children. Maybe we’ll get lucky and one of them will even come to work in a library in about 10 years or so and then they’ll get to pass on Redwall to the next generation of kids and big families who come into the library. I get to help a legacy of books carry on. I get to help the next generation learn to enjoy reading. I have the priveledge and absolute joy of handing introducing someone to a book, an author, a character I loved. 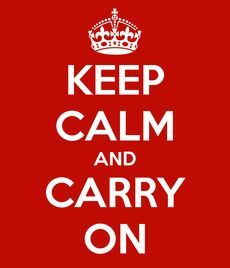 I think my favorite theme/message in all of literature, film, and song is Carry On. I’ve taken to writing things on myself in ink. Not to look nice, but because I need that encouragement recently. Embrace the void. Have the courage to exist. It’s good to be strange. Normalness leads to sadness. That last one is a lyric from the chorus of Welcome to the Black Parade by My Chemical Romance. To all the former/current emos who may be reading this post, I apologize for bringing it up. I love this song. I realize it’s about death and probably something of rebellion and the band who wrote it is long broken up sorry again my emo friends, but it’s also about carrying on, despite how life throws wrenches into your plans, despite whether anyone believes you can do it, despite your dreams dying and your friends leaving you. Also, it’s really upbeat and it’s kind of like Bohemian Rhapsody musically and there’s an amazing crescendo at the end and I could talk amazing music all day. Go listen to it. Seriously. A few of my favorite Bible verses have this concept of Carry On. Philippians 3:13-14. Isaiah 41:10. Philippians 4:6-7. To name a few. And it is in those Bible verses and songs that I’m holding on to. When life happens, when things don’t happen as hoped, when I’m just feeling low, I hold on to the reassurance that God won’t leave me and that He has a plan for my life and what is going on now is part of His plan. I am right where He wants me. God doesn’t want me to try to solve the problems myself. He wants me to do what I can toward them, yes, but I need to just trust in Him, keep calm, and carry on. Carry On is a message of hope. As I try to figure out life (not solve it, just figure it out) and figure out who I am, the message of Carry On is something that, well, keeps me carrying on. Life isn’t always going to be hard. I’m not always going to be in a quarter-life crisis. At some point, it’ll become a mid-life crisis, right? I’m not always going to feel like the world is crashing down on me. I’m not always going to feel lost and alone. I don’t have to be Eponine-level of dramatic, either, but cookies do sound good. And very rarely is absolutely everything a mess. Usually, even if big things are horrible, there’s at something small to be happy about or something that can brighten your spirits a bit. So keep calm and carry on. We can get through about anything. Humans are pretty resilient beings and with God’s promises and some good music, we got this. I’ve uploaded 9 videos to YouTube since July 27th. I know it doesn’t sound like a lot. But that’s a vlog almost every week. That’s a weekly plan, film, edit, upload. And I absolutely fluffing love it. As I said in my last post about vlogging, in some ways, vlogging isn’t all that different from noveling. Except that it is different. Vlogging is probably better compared to short story writing. Sometimes short stories (at least in my experience) can be written quick, edited quick, posted somewhere quick. It’s a very fast turn around, much like vlogging. And my inner need to get things done and not delay gratification very much appreciates this. If I were trying to make a full length film or even something longer than twenty-minutes, then maybe that would be more like noveling. But most of my vlogs have been under ten minutes. That being said, I have by no means mastered editing film. I’m getting pretty good at cutting and adding captions and stuff, but I haven’t messed with lighting or much of sound and I haven’t figured out rotoscoping at all. I still have a long way to go, but I have learned a lot so far. I’ve learned about the camera and the editing program and myself. I say “um”, “so”, “anyway”, and “and” way too much. Most of the time, I can cut it out. Most of the time. I also jump from one sentence to the next very fast. If I decide I like the first sentence and not the second, this makes cutting difficult. I talk with my hands. I might have to start sitting on them. Or taping them down. The webcam works, but not with the fancy video editor. The best camera is the old iPhone, turned on it’s side. But I still haven’t figured out where I’m supposed to look. I can look at myself on the webcam. I think I have to look at the lens on the iPhone and that’s hard. I might need to invest in an actual camera and tripod at some point. Having two different video editing programs on your laptop is hard on the CPU. I can only have the editing program open while editing and exporting/rendering goes faster if they’re still the only things open. SAVE. SAVE SAVE SAVE SAVE SAVE YOUR PROJECT FREQUENTLY. Or your program might crash and this will happen. One very important thing I have learned is to have fun. You can do whatever in your vlogs, but if you aren’t enjoying it, there’s not much point. I don’t mind humiliating myself on camera as long as I’m laughing about it. There’s one more thing. Vlogging is a creative outlet that takes up creative energy. I like to think of creative energy as one of those things that you have a limited supply of. It does get refreshed, but you really can’t control when it refreshes or when it dries out. And I have a lot of creative outlets. I write. I vlog. I blog. I do creative projects for Ch21Con. I knit. I crochet. I bake occasionally. I want to do all of these but I haven’t quite figured out how to spread them and still be motivated for all of them. And these days, with my schedule potentially getting increasingly busier and scarier, I’m forced to choose. I have gotten to the point where I don’t blog unless I have an idea. I’ve started sharing my opinions more in vlog form or tweets than here. On top of this, I feel like the age of casual blogging has died. I am not getting many followers anymore and next to no comments. There is no interaction. It’s just me, cathartically talking at the screen. I had hoped to monetize this blog eventually, but I don’t think that’s very likely now. Am I shutting down Spiral-Bound? Not yet. But I would expect the posts to continue to be sporadic, at best. If you want to hear my opinions and thoughts on a more regular basis, my YouTube channel is here and it would mean the world to me if you subscribed. This isn’t just a link to my newest video (though here it is, if you want to watch it). This is some thoughts on vlogging in the few weeks I’ve been doing it. So, if you watch the video above, you notice that it has some weird audio/video bits where the video pauses but the sound keeps going. And I honestly have no idea what caused that. Something happened in editing that causes the video to do that. I honestly did not anticipate or realize all the hard work that went into not only filming a vlog, but also planning and writing and editing and uploading a vlog. Let me take you through a little step by step of what I generally do for the vlogging stuff. Have an idea. I need to have an idea before I turn that camera on. Write a script. This step is actually entirely optional. I sometimes write down what I’m thinking to get my thoughts down and a general idea, but I found that reading from a script makes it really awkward. So my script is actually more of an outline and I absolutely do deviate from it. Actually film the thing. This is several clips and several takes and me getting distracted by the potato trucks going down the road as I film. This is me starting it and then realizing that my camera angle is really bad or what I just said actually sounds like an innuendo or I just trip over my words a lot. So I take a second to recollect myself and possibly restart the camera and then go again. Import stuff onto my computer and into folders. I like to keep things neat and know where the clips for a certain video is. It saves so much time. Edit. Editing video is perhaps the most interesting and the worst step of this process. This is the part where I realize I took a tangent that wasn’t necessary, my hair looks awful, and I licked my lips in one weird spot and I’m not sure I can actually edit it out. This is the part when I’m reminded how much I hate my own voice and I have to watch this video a million times to make sure all of it is right. And yet, this is also a step I love. This is where everything comes together, where everything becomes maybe not quite the perfect video I imagined, but the one I’m making for myself and for fun. It turns out fun even if the video is amateur. I’m not good at editing yet, but I hope that time and experience will teach me. Exporting and Uploading. The part that is mostly my computer and not me. I add video description and an endcard and choose the thumbnail, but most of this is me waiting on my computer to do its job. Plan the next video. The cycle starts all over again. I try to do this every single week. That’s my process and honestly, it’s not that different from noveling, except that I can novel with other people in the room and I can’t film unless I’m alone. Vlogs are just another creative outlet. One very important thing I’ve learned in this is not to obsess about numbers. Yes, I’d love to be a famous YouTuber but even the famous ones started small. And if I’m constantly obsessing over how many views each video has, I’m not going to be happy. I’m probably actually going to be very discouraged. The only number that matters to me is One. If there is one person who watches my videos and enjoys them, I’m going to keep making them. Even if that one person is me. Now, this doesn’t mean don’t advertise and market and I’m still trying to figure out how exactly to do that without coming off as annoying or cheesy. But this is a learning process and I love it. I would jump on the chance to do this professionally. Anyone else a vlogger? What does your process look like? Tell me all the things in the comments! I am just going to leave this here and see what happens. Recently, a friend sent me an article called I’m Not a Writer. Don’t ask me how the guy wrote the article if he’s not a writer. Summed up, the author says that he’s never felt compelled to write and if he never wrote another word again, he’s be just fine with that. And yet, he still wrote this article. He has articles and whatnot published and some self-published books. This guy wants to share ideas, but writing itself is not something he enjoys. Reader-peeps, this scared the crap out of me when I read it. Especially when I read the part about how he could never write again and he’d be okay with that. I have been there. I have wondered things like “do I even want to write? would I be happy if I did something else and never wrote again?” This is not to say that I wouldn’t still be sharing ideas in some medium, but Bob-darnit, peeps, writing novels is HARD. I used to turn out a novel at least once a year. They weren’t “good”, per se, but they were full stories and I adored them and loved writing them. I haven’t finished a novel since October 2016. I feel like I’ve said this before here on this blog. If I did, I probably also said that this scares me. I feel like something in my writerly brain broke and it was the part that allowed me to think of a story I loved enough and had enough belief in to finish. I have had thoughts about not writing anymore. To focus my creative energy elsewhere. Somewhere besides books. But something doesn’t feel right when I don’t write. There’s a quote that talks about enjoying having written more than the actual writing. Creating and sharing ideas is compulsion, writing is just the medium. But I don’t think that’s true for me. I’m happiest when the words are going down on paper at 1,000,000 words a minute and when I’m done and have managed to write 2 or 3k in a day, I’m drunk on storytelling. The creation of real story and life literally puts me in a bit of a daze and I can’t write any more that day but I am kind of just wandering around the house feeling accomplished and a bit delirious. I’m happiest when I see the thing I have created, even if it’s a first draft, and it is done and it is beautiful and it is mine. It has so much potential to become something great and to be loved by people who aren’t me. I am just as happy during the journey as I am when I get to the destination. When I’m done, I feel accomplished, but I’m also almost immediately looking for my next project. Do I have the urge to get words on paper? Occasionally. Do I usually have to make myself get offline to get started and whine through the first 100 or so words? You’d better believe it. But when I go back later, to edit or just read for fun, and I look at it and think “I wrote this?” or I print a page out and it feels like my words are tangible and I almost cry from it, that’s worth all the griping for 20 minutes as I make myself spit out 200 crap words. That’s worth all the writers block, the “help I don’t know what I’m supposed to write here!”, the tears, the sweat, the diet coke, the considering of asking friends to help, any and every doubt given through the process. Writing is worth it. And I am going to keep writing until I am old and my plot bunny pen is completely empty. I doubt it will ever be completely empty, though. And if other people don’t enjoy writing enough to do it all the time, fine. I do not shame you for it, I do not judge you for it. Just don’t shame me for mine. I’m happy with my writing process. Drake and Max, Dan and Phil, and Katie alone with her thoughts. Nearly seven years ago, I had an idea spark in my mind. I think I was cleaning the kitchen when it happened. I had an idea for a story about a boy who turned into a dragon. If you’ve known me for a long time, you possibly know about this dragon boy. I’m not sure how much I’ve talked about him on the blog, but basically, this kid is named Drake Elliot (the first name was a purposeful dragon reference, the surname was an accident) and originally he was cursed to turn into a dragon every night. I have been struggling to write Drake for seven years. Though I suppose it’s more like six because the very first draft was easy to write. I had a friend who talked some sense into me instead of letting me attempt to get that draft published, thank God, but pretty much ever since I’ve been trying to write this story at least subconsciously. One thing that has stayed the same in most of the variations is Drake’s best friend, Max. Max has gone through several variations himself, but one thing that has always been true is that he is loyal to Drake. That and his bird-watching obsession. Drake has stayed mainly the same. His name got a bit of a change, he has gained family members that he didn’t have in the original, but for the most part, he’s always been a red head with green eyes and dragonic powers. But one thing that hasn’t been the same about Drake is his character arc. The original story had no such thing and it’s one of the elements that have caused Drake to be a bit of a thorn in my writerly side. I have had so much trouble figuring out who this kid is, what makes him tick, and what ticks him off. I had a bit of a revelation. I realized that the person I’ve been trying to nail with Drake is basically Dan Howell. Sarcastic. Dark. Sardonic. And yet, incredibly sweet and flawed underneath all that. Max was quite easy to identify as Phil Lester, as both are absolute cinnamon rolls too good, too pure for this world. 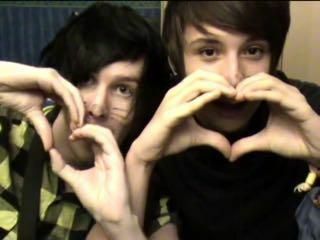 The funny thing is that I didn’t even know who Dan and Phil really were until a few weeks ago. Dan and Phil’s videos and their friendship make me so incredibly happy that it actually makes me sad if I think about it too hard and long. That there are two people who love each other that much (and it’s a platonic love) on this earth is nothing short of amazing. But I didn’t write this post to fangirl over Dan and Phil. Drake’s original story was a fun adventure. Every incarnation (or partial incarnation, I should say, since none but the orginals have ever been completed) since has had many variations with different focuses and styles and attempts at plot. And now, as I consider that I want Drake and Max to have such a strong friendship that it’s hard for people to not see it as romantic, I wonder if it’s because I’ve been lonely. As I consider that I might age them up to college age (late teens), is it because I’ve aged too? Because I’ve changed, have they changed? I wonder that, if I’m still struggling to write Drake’s story in a few years, will he be possibly aged up again to his twenties. Everytime I consider making him older, things happen to the story. The audience changes. How the plot happens changes. Some of the things Drake does changes. Things I consider canon (I’m the author; everything is canon) come into question again. Even subject matter comes into question, whether that’s if I’ll let a teenage Drake swear or if I’ll make him go through something like depression. It’s a complicated mess to try and sort out what I want to happen and what has happened and what I consider unchangable. Which actually sums up my current life pretty well and further supports the idea that Drake and Max change to fit what I need. I only wish I had a Max to help me figure it out. You’re pretty lucky, Drake. People ask “where do you see yourself in ten years”? Ten years is a LONG time. I mean, seriously. Ten years ago, I thought that by 27 I’d be happily married and have a bunch of small kids of my own. And here I am at nearly 27 with a much different dream and absolutely no prospects for marriage. I’ve never even been on a date. So where do I see myself in ten years? Or at the very least, where do I want to be in ten years? I want to be in Los Angeles, living in a small-ish, but nice house (if it’s just me, I don’t need anything huge). I want the sunshine of LA. I adore the sun. I want the coast. I’ve heard that the Pacific ocean is cold, but when it’s 100 degrees out, does it really matter? I want to spend my days writing novels, for which I am a NYT bestseller. I want to be a vlogger. And a YouTube gamer. I want one of those amazing but expensive laptops to do my work on the go but also a nice desktop for when I’m at home. I want professional video-editing equipment or maybe even someone who edits my videos for me. I want to casually run into famous people. I want to be among them, hanging out and having people recognize me when I go to the grocery store. I also want to not have to cook all the time for myself. I want to be part of a church that speaks truth and feels like a family, much like the one I have now. I want to travel to Indiana for Christmas. For like the entire month of December. Speaking of traveling, I want a car. Nothing fancy. I adore Volkwagen Beetles and one that’s blue or silver or bright pink would be lovely. This is my ten years from now. It’s a bit farfetched and maybe I’ll change my mind about some of this. But this is my dream. Today, we have a guest on the blog: Ariel Kalati, one of the team members of Ch21Con! Welcome to Spiral-Bound, Ariel! Well, I’m a current senior at Sarah Lawrence College (though I’ll have graduated by the time of this year’s conference- aah!) and I’m studying writing, literature, and social sciences. I want to be involved in education and community building, so Chapter One Events has always been kind of the best job. I’ve been writing since I was, like, six years old, and the written word is still my favorite thing. That is awesome! Congratulations on your upcoming graduation! Tell us about Ch1Events and how you got started with it. I was one of the mythical original founders of Chapter One Events. Basically, when I was ten, I used to spend my time on a writing forum for kids, where I made some great friends. And then, one of those friends, Julia, had the idea for us to meet up and host a mini writing conference amongst ourselves. The first Ch1Con is still one of my best memories, because it made me realize how great it is to spend time with other like-minded young writers. Since then, the conference has been expanding, and now we’ve taken that goal of spending time with and educating other young writers, and turned it into a whole array of online events, a second conference (Ch21Con), and tons of cool things like contests and our mentorship program. I’m really excited about the first Ch21Con. What are you most excited about for Ch21Con this year? Oh wow, I don’t even know! I think I’m really excited about the speakers this year, although we always have cool speakers. Christine Herman’s Twitter account is super cool and her upcoming book sounds awesome, so I can’t wait to hear what she’s going to talk about. Karuna Riazi, who wrote THE GAUNTLET, which I love, spoke at Ch1Con 2015, and now she’s coming back, which I’m thrilled about! And our very own Allison Mulder has the best puns and gives the best publishing advice, so I’m ready for that, too. But honestly, the main event of any Chapter One Event is pizza, I think, so I guess my answer is the pizza. Pizza is definitely one of the best parts of a Chapter One Event. The Chapter One Events give teens and young adults a chance to learn from young authors. What is something that you learned from a Ch1Con speaker? Honestly, I would probably have to make a giant list and analyze it in, like, a spreadsheet or something, to be able to pick the most important things I’ve learned from Ch1Con speakers, because they all are so inspiring. For me personally, hearing Susan Dennard talk about how she went from being a scientist to being a writer was really inspirational, and it taught me that having several interests doesn’t mean that your interest in writing is invalid. I also loved Kody Keplinger’s keynote address last year, where she told us that failure is okay, and that trying at something counts. Both very good things to learn! Susan Dennard has been one of my favorite speakers. Let’s step away from Ch1Con questions for a minute. So, what are you reading lately? Well, lately it’s been chapters from my Human Rights Advocacy textbook, because I’ve got lots of schoolwork. I am very slowly listening to “Good Omens” as an audiobook though. Once I graduate, I’m going to try and put more reading into my schedule. Ideally. If the “real world” doesn’t kill me. What do you like to do when you aren’t reading or writing or are busy with schoolwork? Well, I’m a big fan of eating food. I also like watching TV shows, like Parks and Recreation or Steven Universe. I love art history, so going to art museums is fun. Pretty much just introvert nerd stuff like that. Being an introvert nerd is fun. What are your favorite and least favorite tropes? Ooh, good question! My favorite tropes are definitely things like, fun upbeat messy person makes friends with/falls in love with/has to team up with cranky organized overachiever person. And I also love witches and woodland sprites and stuff. My least favorite tropes are pretty much mostly misogynistic tropes, like “girl is super shy and boy is mean to her but in a romantic way somehow” and stuff like that. I love magic folklore-sy tropes like woodland sprites. Ah, tomatoes… Tomatoes are excellent when simply pureed, spread over a flour dough, then add some olive oil and mozzarella and cook it in an oven. Basically I’m saying pizza. Pizza is the priority. Pizza is absolutely a priority. I agree 100%. Oh, the most important question. I want to say that I’m the Kitchen Sink cookie, because I have a lot of different elements to my personality, but they add up to something sweet that is a little too much at times. That is a very poetic description. Thank you so much for letting me interview you! I hope guys enjoyed the interview. You can find Ariel on her Twitter here. And if you’re interested in either Ch1Con or Ch21Con, you can find out more here. The conference is August 4, so get signed up quick! We have awesome stuff planned for all.